Backsplash School (6): What is 3D Backsplash Tile ? 3D Backsplash Tile is a great choice to make a unique kitchen remodeling. Especially for open floor plans, 3D Backsplash Tile looks like a masterpiece. 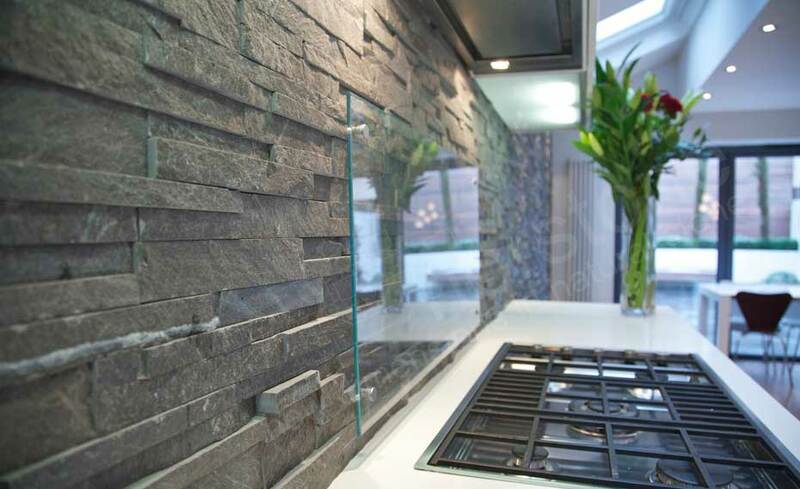 By using 3D Backsplash, your kitchen wall will gain some curve, motion, depth, texture, and infinity feeling. Additionally, visual dimension will release into air and will create elegance to the space. No matter what kind of kitchen design style you have, with the uplifted trend options for this multidimensional materials, stimulating minds go for the modern aesthetic from traditional kitchen design to a more rustic kitchen design. Backsplash styles of backsplash selection are a subway backsplash tile, basket weave backsplash, woven backsplash, hammered backsplash , sand print backsplash and ocean wave backsplash. Those are mostly applicable to any material. Natural Stone Tiles and Travertine Tiles add both sophisticated and complimentary approach to any kitchen design style. They coordinate well with rustic kitchens. Some contemporary kitchens would love to hug the Travertine 3D Backsplash. Curved glass tiles aka basket weave backsplash or woven backsplash are the best option to hope for a miracle in kitchen remodeling.Waves and curves bring the texture and cool looking in your project. Colorful or plain variations are all the designer’s choice of glass 3D Backsplash. 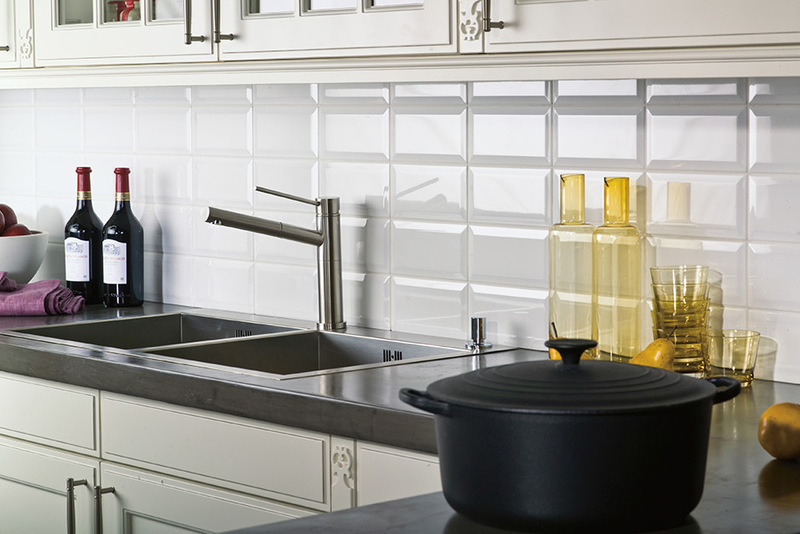 3D Subway Tiles are simple enough to show your countertop and your cabinets detail works. At the same time they are very warm looking. Natural Sand prints Tiles are another sophisticated example for ceramic 3D Backsplash. The infinity look makes them irresistible. Ocean Wave Tiles carry both relaxation and meditation in your kitchen. No doubt that Ceramic 3D Backsplash Tile is really a trendy insert to your kitchen style. Metal 3D Tiles add either a contemporary look or rustic touch to your space. Some 3D backsplash seems like a real picture with depth , some seems like the infinite elegance. As I mentioned in my previous article, using metal tiles as a backsplash provides your kitchen with a genuinely stunning look that better showcases your design aesthetic. One more time stainless steel and copper backsplash need to be on the stage. I believe that you’ll love these standout examples of 3D Backsplash Tile in Pictures. Picture Credit: Porcelanosa Usa., Neat and clean design to show the beauty of 3D Ceramic Subway Tiles. Picture Credit: Classic Homes By Clayton., My favorite combo: Cambria Brittanicca countertop, neutral color sand print 3D backsplash and gray cabinets. Hats off transitional kitchen design. Picture Credit: Cabinet Innovations., the impressive coordination of Bianco Romano Granite Countertop, ocean wave backsplash and Cognac finish cabinets. 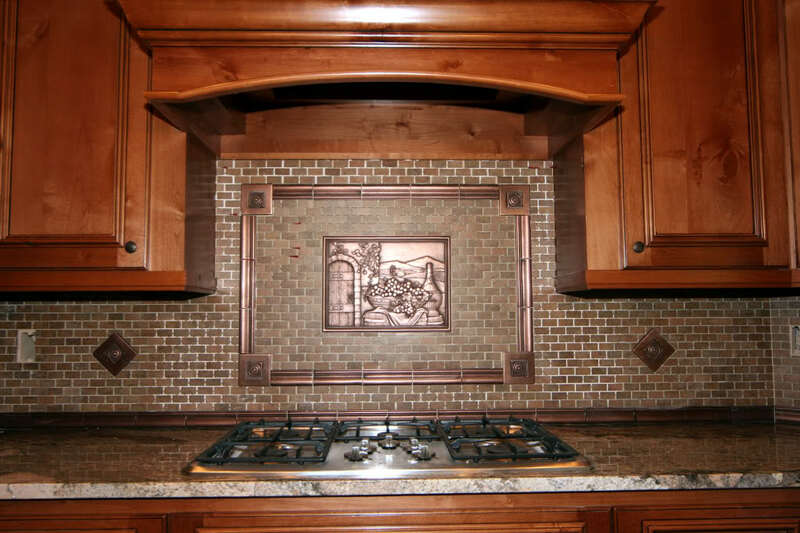 Picture Credit: Plans Love Adeline., Mural copper 3d backsplash in rustic kitchen. 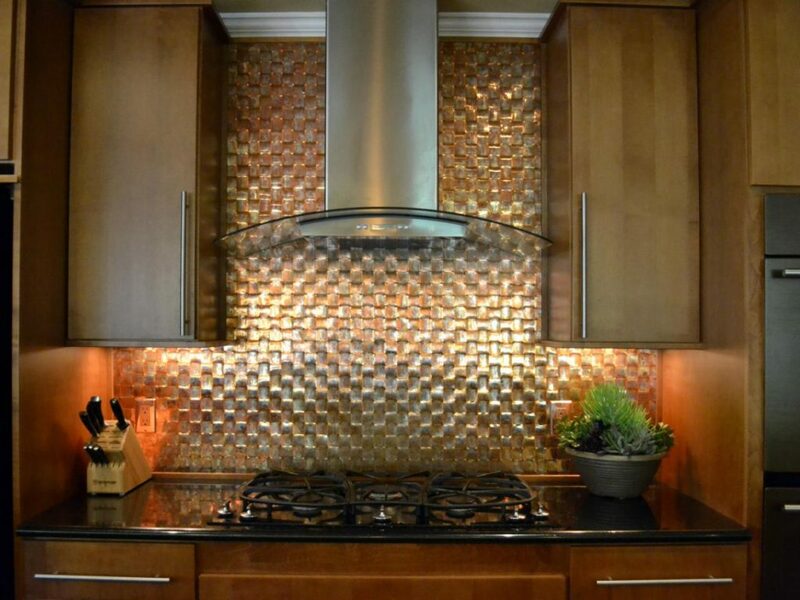 Picture Credit: HGTV, Copper basket weave aka woven backsplash really rocks.